Microwave oven is one of those most essential kitchen appliances that free you out of the cooking tensions. 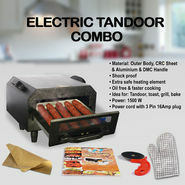 They are specially designed to making the cooking chore easy and less time consuming. These ovens generally heat up the food via dielectric heating process. 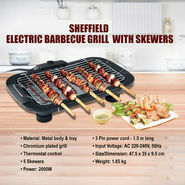 That is why, today these appliances has marked their niche in convenient cooking equipments. There are basically three prominent types of these ovens and they are- simple microwave. Microwave with grill and at last microwave with grill and convection. Do check the energy consuming level of the oven you have chosen before owning it completely because they are mainly dependent upon the electricity power. 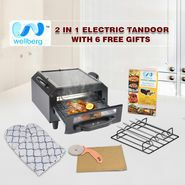 In this present era, many major brands like Whirlpool, Godrej, IFB, Onida and Bajaj in the electronic appliances industry come up with a wide array of microwave cooking ovens. 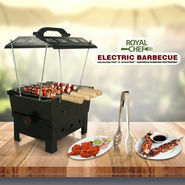 Moreover, they offer many appealing features and functionalities in these appliances. You just have to pick the one best matching your needs and expectations. These cooking appliances require special plastic and glass made food cookware to cook food accurately. With an easy handling and a convenient operating joy, you can surely make the best in taste food out of these environment and user friendly appliances. Microwave Ovens generally come laden with a swarm of beneficial features including melt mode, quick heating and convection cooking. The most important fact of these cooking appliances is that they prepare healthier and nutritious food. Conventional cooking may accidentally endanger the nutrients present in your food; microwaves can never do this mistake. These cooking tools use microwave frequencies for perfect cooking and that ensure the unaltered state of the food vitamins. Thus you can eat healthier food cooked by the microwaves. Some of them come with digital displays and knobs to accept your cooking preferences. In fact, the branded ones come together with a starter kit and a cookbook to help you in experimenting with fresh and mouthwatering recipes. 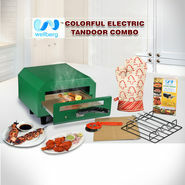 Hone your culinary art using these appliances and get flooded with immense appreciation for preparing meals instantly.